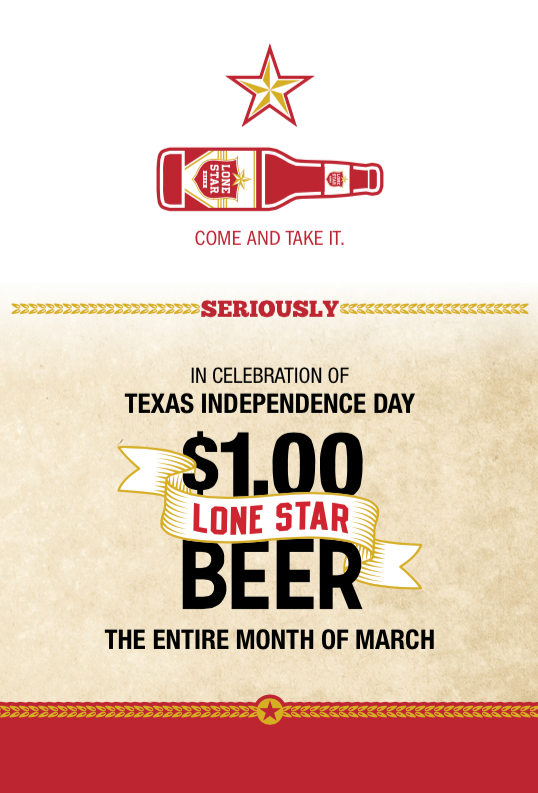 (map) What better way to celebrate Texas Independence than all month long? And with $1 Lone Star beer? Starting March 1st, Rudy’s Bar-B-Q does just that. Cheers!